The National Institute on Aging shared that as we grow older, we are more likely to be diagnosed with one or more chronic ailments. These ailments include life-threatening diseases such as cardiovascular disease, diabetes, and cancer, as well as debilitating conditions like arthritis, fatigue, and frailty. These ailments rob us of our quality of life. The question is: How does the aging process affect the disease process and susceptibility—and vice versa? 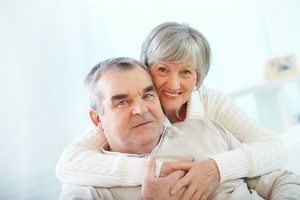 Over the years, researchers studying the basic science of aging have sought to answer this question, but their work was confined primarily to investigations of the specific activities and mechanisms that contribute to the aging process, and not as much on the effects of the aging process on various diseases. While aging itself isn’t a disease, the aging process represents a major risk factor for several chronic diseases and conditions, including frailty and lack of resilience. One of the first steps in advancing geroscience was to demonstrate that this approach is likely to affect research in many fields. Traditionally, biomedical research has focused primarily on specific diseases such as cancer, diabetes, heart disease, and, more recently, Alzheimer’s and related dementias. But aging affects the onset and progression of all of these diseases and is a common risk factor for them. By studying what happens during aging at the genetic, molecular, and cellular levels, investigators hope to discover the similarities and differences among these conditions as they relate to aging. Drs. Felipe Sierra and Ronald Kohanski, director and deputy director, respectively, of NIA’s Division of Aging Biology, were a moving force behind the establishment of the Trans-NIH Geroscience Interest Group (GSIG) in 2012. The goal of the group is to stimulate interest and involvement in the basic science of aging across Institutes, Centers, and Offices at NIH. The group, which now includes 21 of NIH’s 27 Institutes and Centers, hosts three seminars on the NIH campus each year and convenes workshops and summits on topics of interest to the geroscience community on a regular basis. The Summit’s primary goal was to look at new ways to understand how common mechanisms governing aging might underlie the occurrence and pathology of diverse chronic diseases. A second goal was to promote new pathways for collaboration among researchers of these varied diseases, specifically in the context of aging. The meeting offered participants an opportunity to explore the interplay between chronic disease and aging in the hope of eventually identifying new avenues for prevention and treatment. About 50 renowned investigators from various disciplines addressed topics in aging and chronic disease that has come to be known as the Pillars of Geroscience: inflammation, immunity, adaptation to stress, epigenetics, metabolism, macromolecular damage, proteostasis, and senescence. Investigators also seek to determine how particular chronic diseases affect not only the primary organ involved in disease but also, how additional organs and systems may be impaired. In Alzheimer’s disease, for example, studies focus on what happens in the brain—the primary affected organ—while researchers also look at the bones, vascular system, and overall metabolism. Such studies provide a more holistic view of individual diseases and conditions, which could lead to interventions on a number of levels. For any chronic disease or lost function that increases with age, geroscience proposes that slowing the rate of aging will improve health. Kennedy BK, et al. 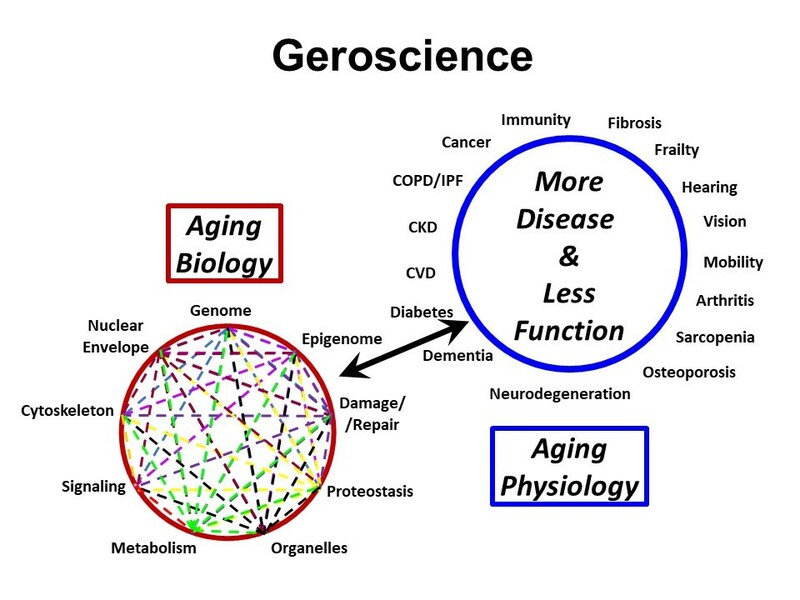 Geroscience: linking aging to chronic disease. Cell2014;159(4): 709-713.